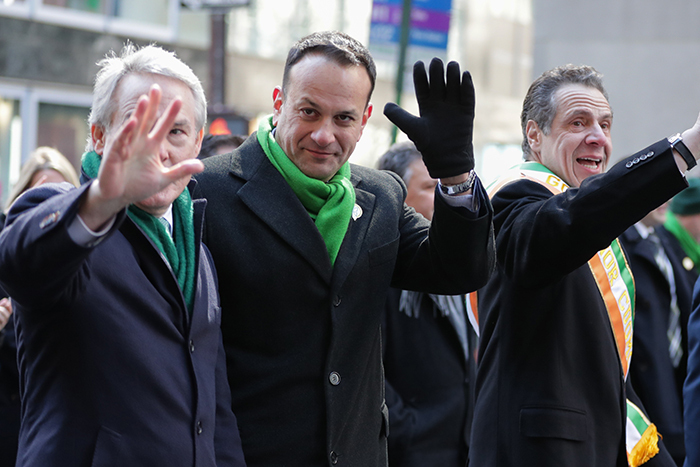 New York City’s Mayor Bill de Blasio and Governor Andrew Cuomo marched separately in the 257th annual St. Patrick Day’s parade on Saturday, along with over 100,000 other marchers. Ireland’s Prime Minister Leo Varadkar, flanked by Long Island Republican Congressman Peter King, announced his government’s multi-million dollar grant for an Irish cultural center in Hell’s Kitchen. He also recounted traveling to Oklahoma to visit to Native American tribe which after suffering its own loses in the Trail of Tears raised money for the Irish during the potato famine. Cuomo, noting that Varadkar is openly gay, contrasted it with the controversies in the 1990s about LGTB groups being excluded from the parade. This year, at least two such groups marched. 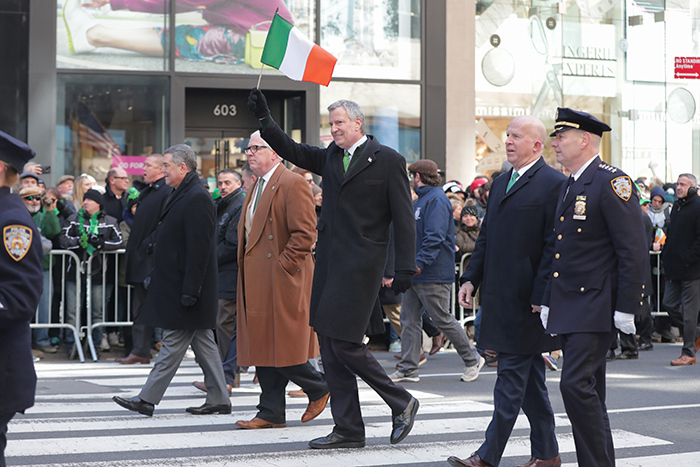 Mayor de Blasio began the day hosting a St. Patrick’s Day breakfast reception at Gracie Mansion and then attended St. Patrick’s Day mass at St. Patrick’s Cathedral. Fifth Avenue, New York, USA, March 17 2018 – New York City Mayor, Bill de Blasio along with Hundreds of Thousands of People Watched and Participated on the 2018 Saint Patricks Day Parade today in New York City. Between 1850 and 1929, an estimated 4 million Irish immigrants. came to the United States.